Download Game Manuals & Extras for Xbox 360 - Xbox 360 Downloads, Repairs & Drive Replacements, Emulators, Homebrew, JTAG, RGH and more. Looking for files for your Xbox 360?? Look no further..
Condemned: Criminal Origins Game Manual for Xbox 360. Prepare for the void by arming yourself with more than 40 intuitive voice commands using Kinect for Xbox 360. Utilize these shortcuts to navigate seamlessly through the interface menus and activate commonly used actions, including loading weapons, changing locations and healing and assisting your co-op partner. King Kong Game Manual for Xbox 360. 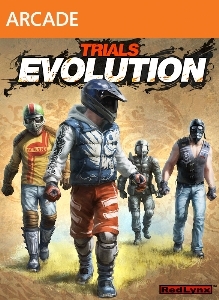 Trials Evolution is on every front, the next dimension of the smash-hit, award-winning Trials HD. Bust out of the warehouse into an outdoor world of night and day, curved driving lines, and spectacula..